You may deal with one of these in your line of work, or, depending upon your place of employment, you could encounter every single one of them. Once you graduate from an instrumentation technology program, you will be able to utilize and interpret legends, parts symbols, drawings, and much more. Once you enter the workforce, you will apply all these skills working with things like mechanical ship prints. In addition to that, your training will give you intimate knowledge of the most common types of bearings and seals, including identifying, removing, replacing, installing, and much more. Most importantly, you will have the ability to not only use these various systems but also to troubleshoot them. You will be able to ensure they are in working order, no matter what type of environment you eventually find yourself working in. An important part of fluid power systems is air, and you will find that after finishing the correct training, you will have the ability to explain the properties of air along with the basic laws of gases. You will also be ready and able to explain pneumatic principals, which are an integral part of the entire fluid power process. Fluid power systems are comprised of many different components, all of which you are going to need to know if you wish to succeed in this field. As you near the end of your education, you will be able to describe and maintain as well as troubleshoot all the basic components that are found in a pneumatic system. This will also include technology that is used in industrial robot systems which are becoming more popular on manufacturing lines. Bottom line: there is a lot to learn and these systems are extremely popular today. By learning how to operate them, you will open yourself up to brand new opportunities and find yourself ready to take on many different jobs. It all starts, however, with making sure that you have a great education that you can use as a foundation to develop real-world skills. You will need an outstanding education if you want to work in the instrumentation technology field, and it all starts with making sure that you attend a high-quality school. Our educational institution provides you with two important things: highly qualified instructors who not only know the material but have spent their fair share of time in the field doing the exact job that you wish to train for, and a hands-on approach to learning that gives students the practical knowledge to supplement textbook learning. Therefore, you have an outstanding opportunity to obtain a comprehensive education and enter a growing, rewarding industry. 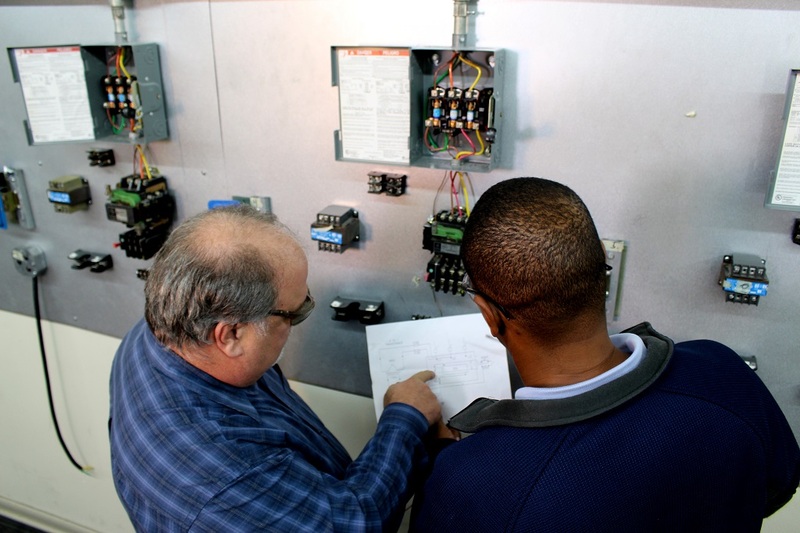 Along with offering outstanding instructors, we also provide you the ability to get hands-on training using the systems that you will deploy and troubleshoot while you are in the field. This will give you a distinct advantage and the ability to jump right at the moment you graduate from our institution. It is time to find your place in this field and we are going to help. For more information and to get started in your new career, give us a call and see just what we can do for you.